Boosts human immune system. Concentrated approximately 300:1. 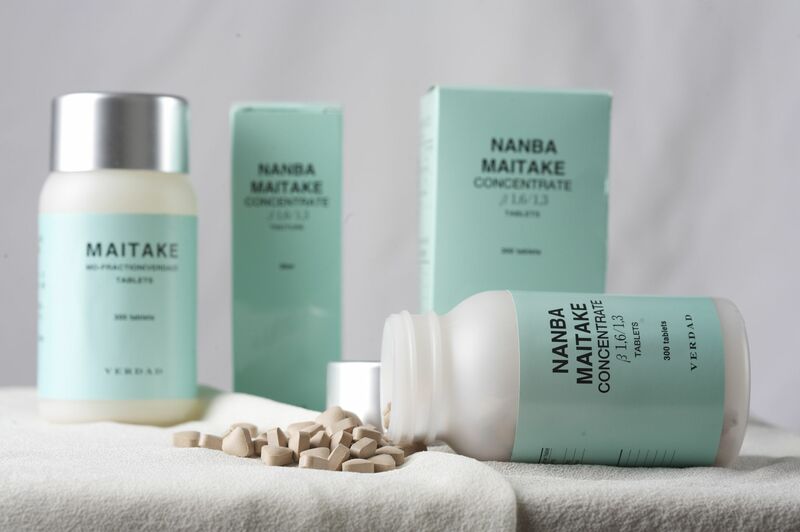 Most concentrated Maitake product available anywhere. 300 times stronger than dried maitake mushroom products. The tablets contain D, X & Z Fractions. Upregulates cellular immunity without downregulating humoral immunity. Supports proper blood sugar levels and healthy cholesterol levels. This product is a very potent immune enhancing beta glucan. The beta glucan structure of Maitake is a unique 1,6:1,3 as oppossed to the more common 1,3:1,6 found in other medicinal mushrooms. This unique more highly branched structure gives Maitake the strongest immune enhancing effects of all the medicinal mushrooms. This product is made in Japan by Verdad under extremely strict standards for genotype, cultivation and extraction. It is distributed by Integrated Health Care Products, LLC.